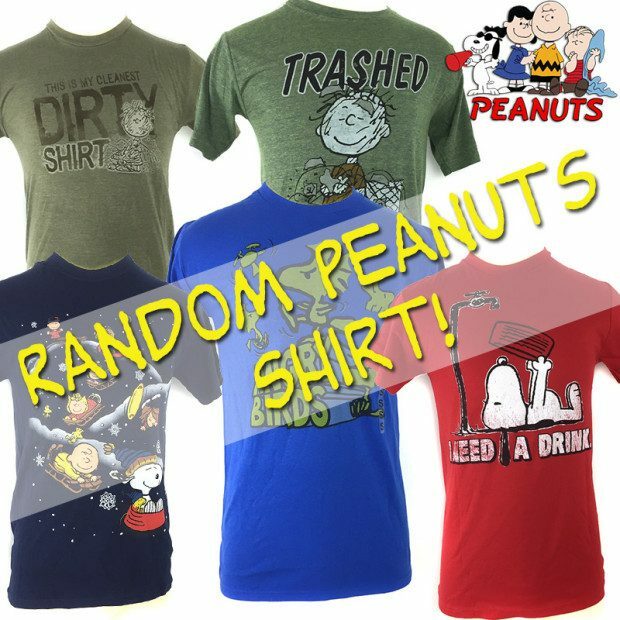 Officially Licensed Peanuts Shirts Only $6.99 Plus FREE Shipping! You are here: Home / Great Deals / Officially Licensed Peanuts Shirts Only $6.99 Plus FREE Shipping! Oh how I love the Peanuts characters! Seeing Pig-Pen in his cloud of dust or the whole gang sledding down a snow covered hill made me smile! Get an Officially Licensed Peanuts Shirts for Only $6.99 Plus FREE Shipping! Bring some random smiles to your life with one of the great tees!